Want to head inside Erebor? You’ll find something quite different than what you may expect – no Smaug, or mountains of gold to slide down gleefully. Instead, you’ll discover an immense interior cathedral, carved by the earth, not dwarves, full of rich colors and interesting geological patterns. Iceland, the largest volcanic island on earth, is well known for its active volcanoes – the eruption of Eyjafjallajökull in 2010 had the world’s travel patterns stalled for weeks. 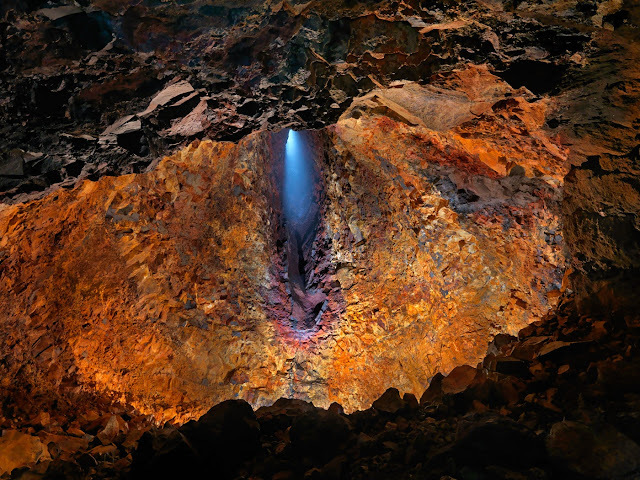 But what would it be like to go INSIDE one of Iceland’s volcanoes? You can, at Thrihnukagigur. 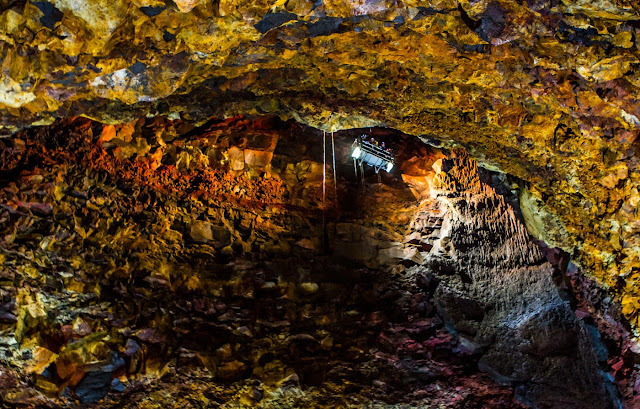 Located 30 minutes outside of Reykjavik east of the Blue Mountains in Southwest Iceland, you can take a whole day for caving and explore the inside of this dormant volcano. 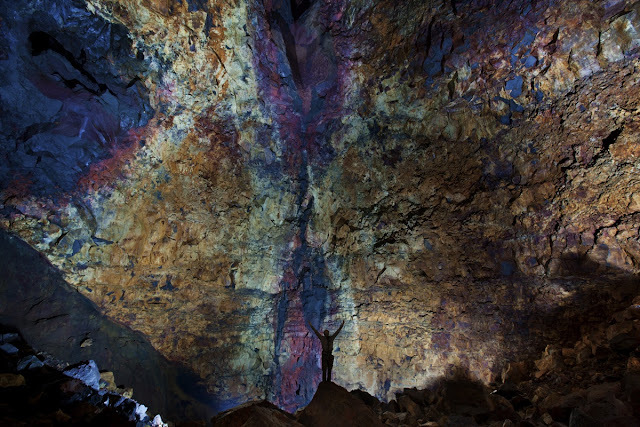 It’s the only place on the planet where you can descend into a volcano. 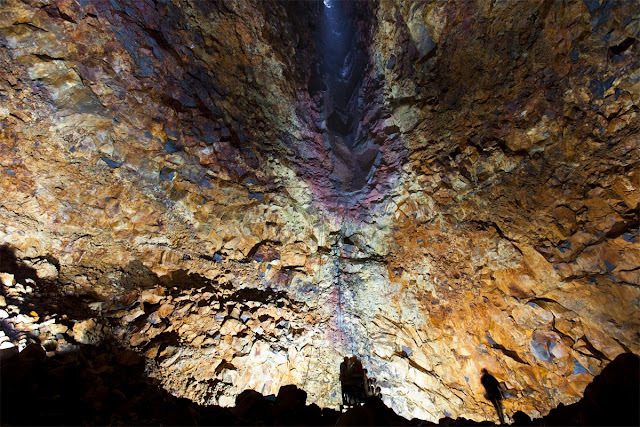 Iceland is located on the Mid-Atlantic Ridge; Thrihnukagigur last erupted over 4,000 years ago. 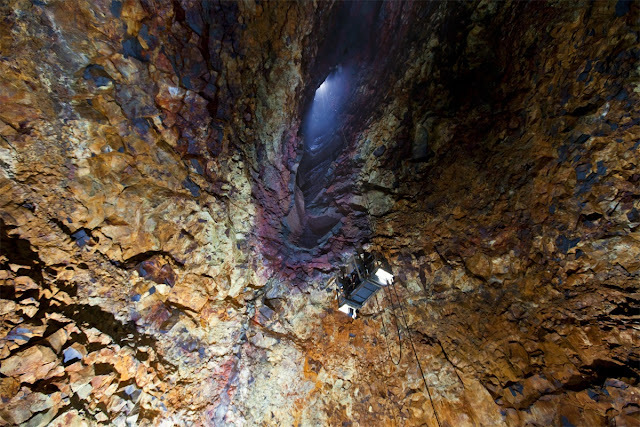 The magma cave was first descended in 1974 by Árni B. Stefánsson, who has worked hard to create an environmentally safe way to explore this unique place. Tolkein was right to include so much of Iceland in his writings - this place is otherworldly, reminiscent of dragons and explorers, of quests and discovery. It’s a place to find the unusual, and snorkel under the midnight sun. 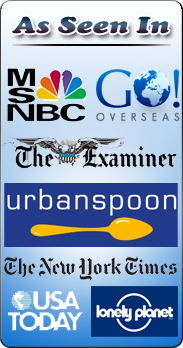 First opened to the public in 2012, this is a bucket list adventure that few people have experienced. Drive to the site, hike for 2 miles, gear up with safety helmets and harnesses at at a welcome cabin, and then get ready to descend via an elevator that can fit 5 people at a time. It’s a little freaky, that elevator, but well worth the 120 meter descent. The opening at the top is 12x12 feet wide; the bottom is a space around 160x220 ft.
Once you’re at the bottom, wander around and let your imagination soar. The sky is far away, a pinprick of light up above. 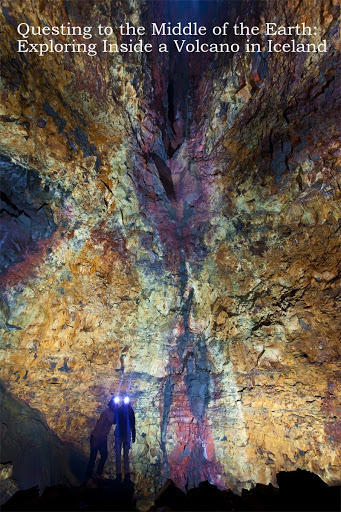 Puffs of smoke might be Smaug, elves, or the more prosaic effect of moisture hitting the lamps that light the cave. 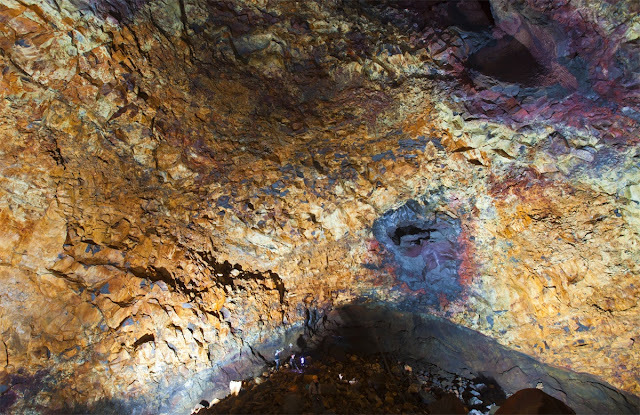 The area you’re exploring is a magma chamber – a place that is usually filled with cold lava after an explosion. 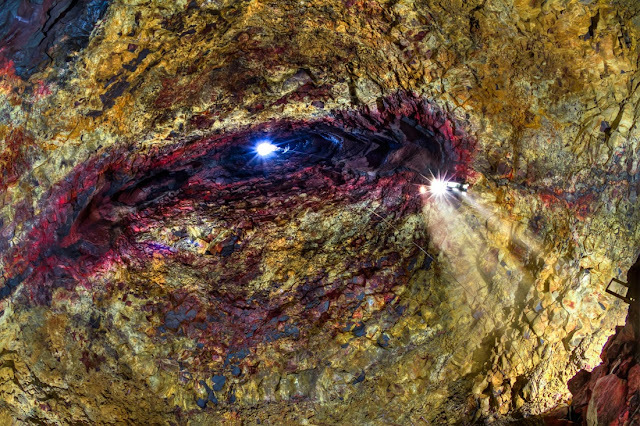 No one knows why the magma left this area, but it’s awesome to have a chance to explore the heart of a volcano, surprising in its colors and formations. Want to learn more science about this? 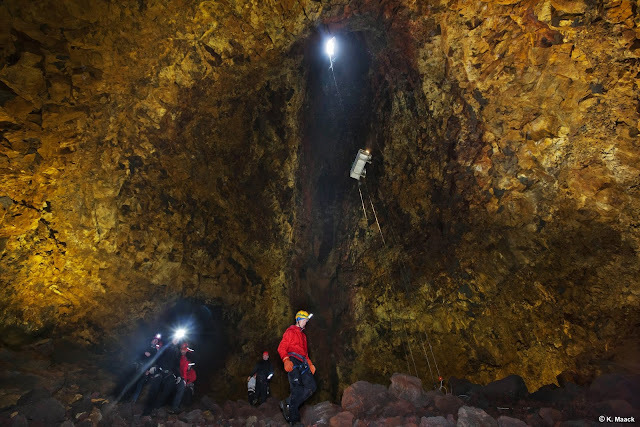 Head down into the volcano with scientist Dr. Freysteinn Sigmundsson, who, over at the BBC, describes how the volcano’s chamber was formed, and shows the paths of the volcano’s last eruption. The season for exploring the volcano is May – September. A moderate fitness level is required. 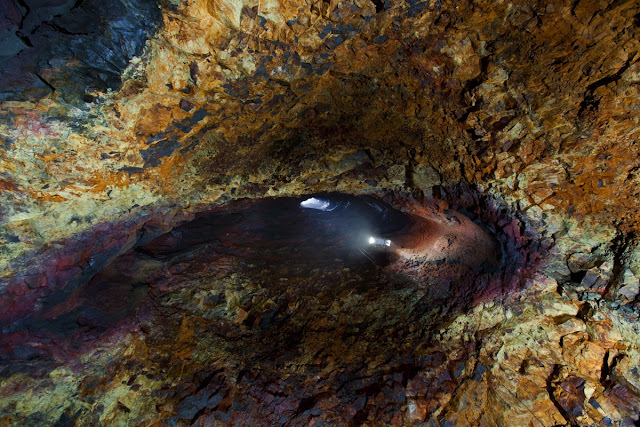 You will spend an hour inside the volcano. Guides will be present at all times (whew!). It’s cold inside – around 40 degrees. Wear warm clothing (not cotton). Visitors cannot take away anything except photos and memories.